Visual Studio for Mac is a software program that allows you to create mobile apps for iOS and Android platforms. But despite being a popular and useful tool, at some point, you may need to uninstall the program. 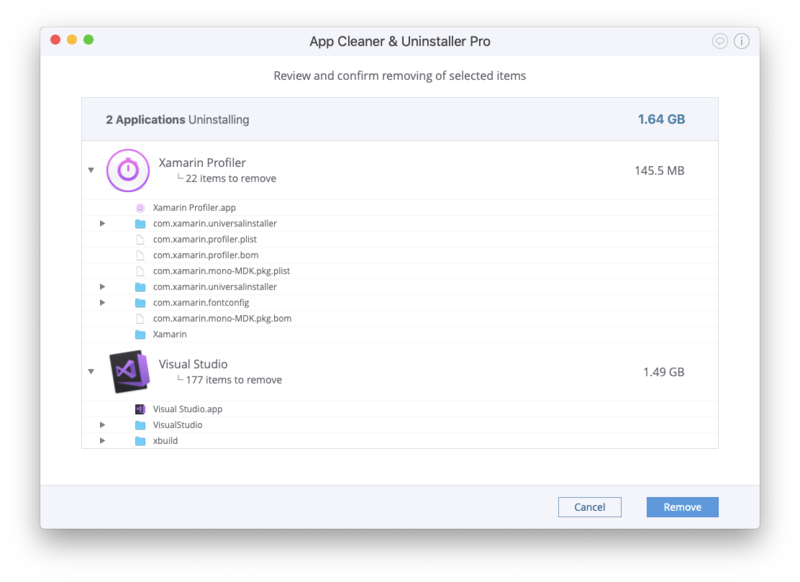 So, in this post, we want to highlight two ways to uninstall Visual Studio from a Mac. 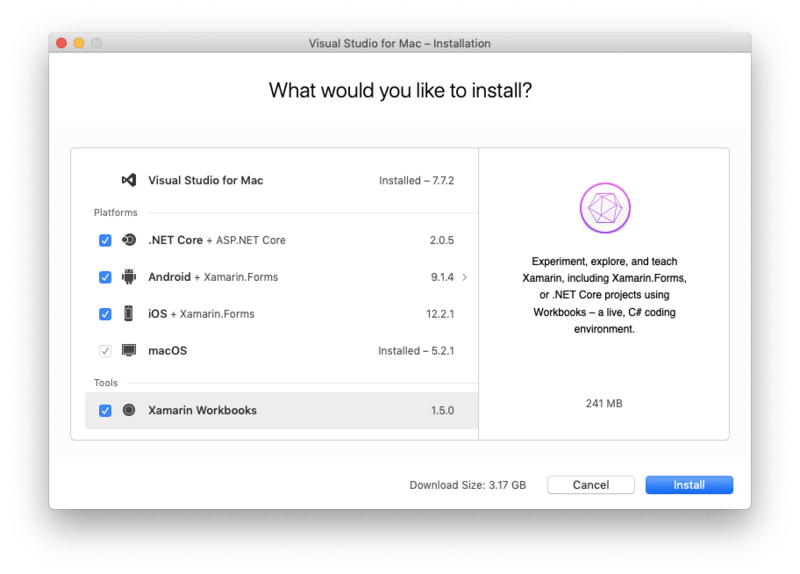 First, let us remind you of the installation process of Visual Studio for Mac. When installing the program, the Visual Studio installer scans your computer and requires you to install additional necessary components. As users install Visual Studio for different reasons, you may have installed various additional apps on your computer along with the Visual Studio application. So, if you installed the components of Xamarin.Forms or ASP.NET Core, just keep them in mind. We will return to them later. Open the Applications folder → select Visual Studio.app → right click and choose Move to Trash to delete the executable file. Complete the deletion of Visual Studio by emptying the Trash bin. Repeat the steps listed above to remove the rest of the Visual Studio components related to Xamarin.Forms or ASP.NET Core. Then empty the Trash. 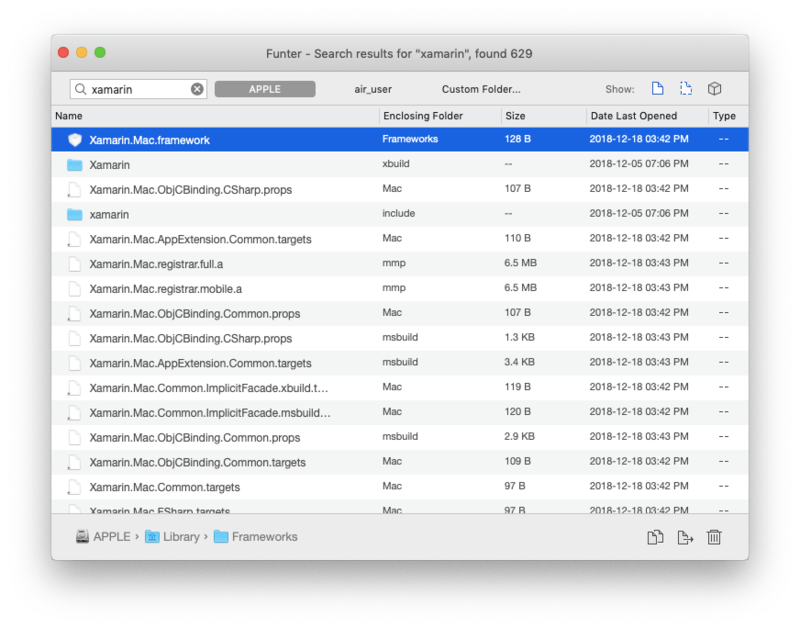 To ensure that you have deleted all useless files from your Mac, we recommend that you use the free program – Funter. It scans your disk and finds files by name, even the hidden ones. Just launch Funter, type the name in the search box, and hit Enter. In the window that appears, you will see a list of items that you can reveal in Finder and delete them. Fortunately, you can use an easier and quicker way to uninstall Mac Visual Studio. 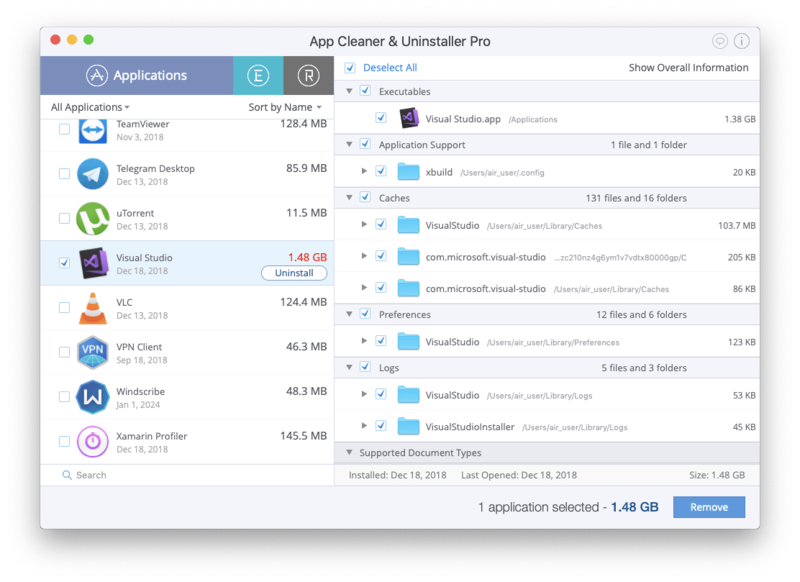 Thanks to third-party uninstallation tools like App Cleaner & Uninstaller, you can get rid of useless apps and their remains in just a few clicks. In the Applications tab choose Visual Studio, and all its service files will be selected automatically. Click on the Uninstall button to proceed. By the way, you can use the search field to find apps related to the Visual Studio Mac OS edition and delete them as well. You can also sort applications by name, date or size. Overview the items you are going to uninstall and click on the Remove button. 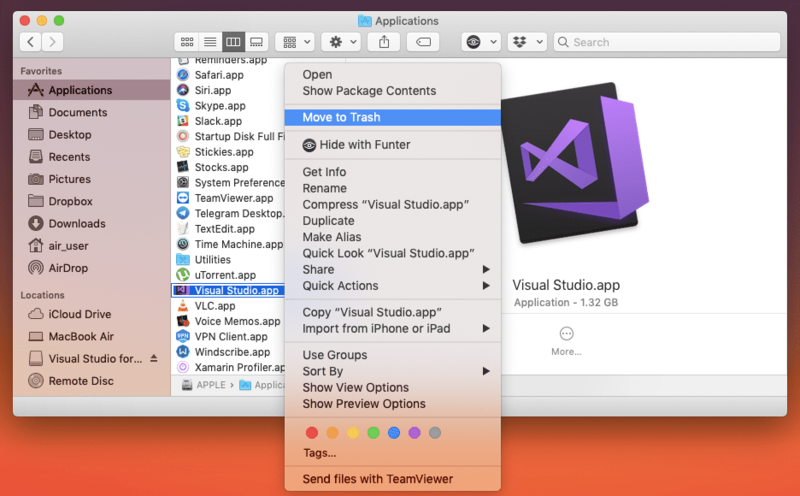 Empty the Trash bin to complete the uninstallation of Visual Studio on your Mac. Applications play a significant role in our daily operations on computers. Sooner or later, we need to clean up the ones we do not use. When we do, it is important is to uninstall programs correctly and entirely to help our devices work properly. Therefore, we recommend using App Cleaner & Uninstaller for this purpose.